At just eight months of age, Tiesa and her two sisters were abandoned by a roadside. They survived by eating roadkill — frogs, in fact — and drinking water from puddles before being discovered. 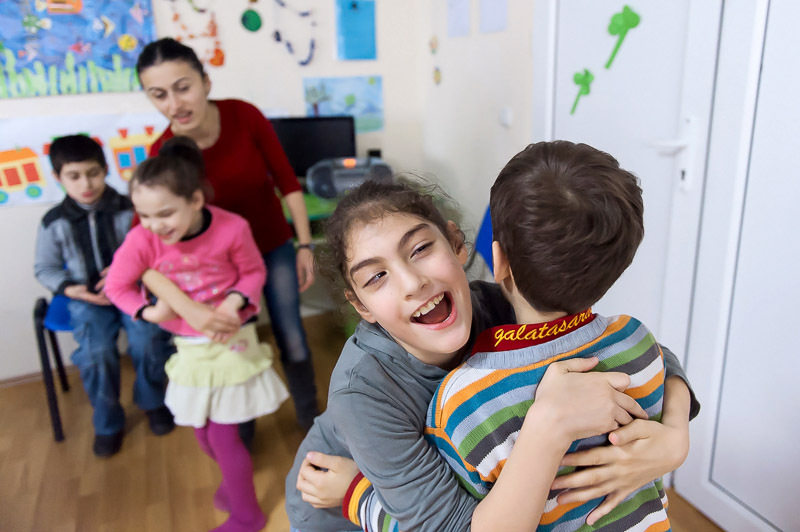 The children, two of them with learning disabilities, were placed in Tbilisi’s Infant House, an orphanage by any other name. According to EveryChild , a British children’s charity with a country office in Georgia, very little was known about them. “When they were found, the girls didn’t know their full names or even how old they were,” wrote EveryChild Fundraising Director John Bines in a 2012 Christmas appeal. But even though the young girls were given refuge in an institution, their situation highlighted another problem. Children deprived of parental care, and especially those from socially vulnerable families or with disabilities, were not being properly accommodated or supported by the State. Fortunately, for Tiesa and her siblings, that is now almost the situation today following a policy of deinstitutionalisation in Georgia introduced in 2006. “The lack of individual care and attention hinders child development,” a 2011 EveryChild report on children in residential care worldwide read. An earlier report by the World Bank on neighbouring Armenia was also critical. "With the declining level of services in residential institutions, the current trend is creating an underclass of children marked by poverty, stigmatisation and a lack of proper care and education who are likely to lack opportunity as adults," Aleksandra Posarac and Jjalte Sederlof wrote in June 2002. 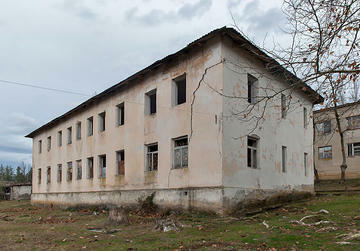 Yet, while well down from the 12,000 enrolled at the time of the World Bank report, there still remain 4,900 children in Soviet-era boarding schools in Armenia and, according to UNICEF, around 10,000 children in institutions in Georgia’s other South Caucasus neighbour, Azerbaijan, in 2010. But thanks to the policy of introducing and supporting alternative forms of care for children deprived of parental care, only around 120 children officially remain in institutions in Georgia. Before the process of reform started, there were over 5,000. The number of institutions has also been reduced from 49 to just 3. There are other problems too. According to UNICEF, there were approximately 1,500 children living or working on the streets of Georgia in 2008. A two-year €850,000 project launched by UNICEF and World Vision in February 2013 to address their situation has so far failed to result in any visible change. “The government’s lack of information concerning the number or location of children in church-run institutions creates a danger that children could be abused or trafficked without the government’s knowledge,” Left Behind, the DRI report published at the end of last year, warned. While others such as EveryChild Georgia Director Andro Dadiani say that disabled children have not been moved to those institutions, they do admit there is a problem. “There have been cases when the children reintegrated with biological parents have ended up in the church institutions or begging in the streets,” he told Osservatorio. Working with World Vision and others, for example, EveryChild helped establish 15 group homes, each able to accommodate up to eight children each. These are intended to cater for those children unable to be reintegrated in their biological families or placed in foster care. They represent another “family-like” option for alternative care. As testimony to the relative success of deinstitutionalisation, Dadiani says that EveryChild Georgia will cease its operations in March. Onnik Krikorian accompanied EveryChild on a field trip to closed institutions, foster families, and group homes in Georgia at the end of November 2013 as part of his ongoing work since 2001 on socially vulnerable families in the South Caucasus. Tiesa’s name has been changed.